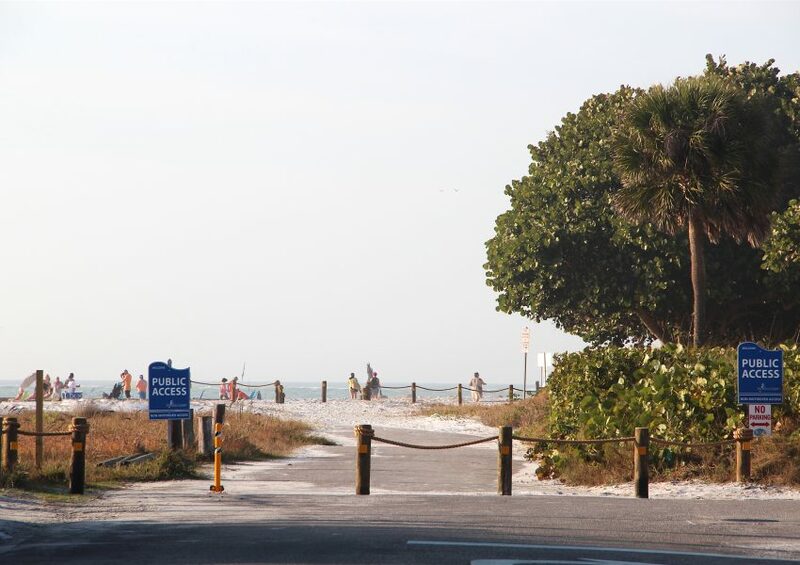 Siesta Key resident Mike Cosentino has talked many times over the past two years about how soothing he always found the drive along the length of Beach Road on the northern part of the barrier island. Even though the county closed part of the road to motor vehicle traffic in 1993 because of repeated storm damage, Cosentino said in a recent 12th Judicial Circuit case document that he continued to drive the stretch, with its unbroken views of the Gulf of Mexico. He finally was forced to stop, he added, when Sarasota County staff and a set of North Beach Road property owners collaborated on placing bollards on both ends of the battered segment. Cosentino not only filed suit against the commission in June 2016, focusing on what he alleged was the board majority’s violation of that policy, but he also began working on two amendments to the Sarasota County Charter to right what he has contended was a grievous wrong. He established a nonprofit organization, Reopen Beach Road, and gathered supporters to seek the signatures of voters on the petitions for those Charter amendments. Reopen Beach Road proponents became a regular fixture outside the Terrace Building in downtown Sarasota, working to catch customers headed to and from the Tax Collector’s and the Supervisor of Elections offices, as they worked to meet the signature threshold established for the measures to make it on a ballot. In late June, Supervisor of Elections Ron Turner formally notified the County Commission that Cosentino had surpassed the necessary number of voter signatures to get both proposed amendments on the ballot. On Nov. 6, the amendment calling for the County Commission to preserve county-owned property on the water won 72.7% of voter approval. The second garnered support from 65.06% of the 192,444 voters who considered that ballot question. Yet, the fate of Cosentino’s amendments remains uncertain, thanks to the litigation underway in the 12th Judicial Circuit Court. County Attorney Stephen DeMarsh has explained a number of potential legal concerns the amendments present. Among them would be the expense of reacquiring the 373 feet of North Beach Road that the board vacated. County staff spent months negotiating with owners of property at 162 Beach Road over a price to acquire that land. The effort followed threats of legal action after the board repeatedly denied the owners’ petitions to construct a house on the site. The commission finally agreed to pay $1.4 million for the property. In the case of North Beach Road, the county also would have to undertake repairs so motor vehicles could use it. Since the vacation was approved, an easement granted by the petitioners has given the public the right to use the segment by any means except motor vehicle. Two sets of the property owners who won the road vacation argued in court papers filed before the election that Cosentino and his supporters never alerted any of the signers of their Charter amendment petitions about the potential expense of the road repairs. Dennis and Wendy Madden and the Caflisch family asked Circuit Court Judge Frederick Mercurio to remove the proposed amendments from the Nov. 6 ballot, largely because of what they cited as insufficient notice to voters — as required by the Florida Constitution — about just what the ballot questions entailed. Mercurio shot down the Maddens’ attempt, but he did not rule on the Caflisches’ motion before the election. The Maddens’ attorney, Lewis Hall III of the Williams Parker firm in Sarasota, told Mercurio during an Oct. 12 hearing that a long-time county transportation employee had estimated the cost of the necessary repairs to North Beach Road would be at least $7 million. The county has argued in court papers, too, that the amendments should not have been on the Nov. 6 ballot. Question 1.) The office of the County Attorney has made the argument that your Charter amendments are in conflict with the Florida Constitution, which gives very specific powers to counties in terms of buying and selling property. How do you counter that argument? As provided by the “not expressly prohibited by the county charter,” above, RBR’s charter amendments “expressly prohibit” the giving away or selling of certain public lands as specified therein. Likewise, on 8/29/18, the Board exercised its authority by adopting Ordinance No. 2018-036, which placed RBR’s amendments that provide such “alternative standards and procedures” on the 11/6/18 ballot. So now the County is claiming that the Ordinance they unanimously approved and put on the ballot, which “we the people” then overwhelmingly approved, is somehow unconstitutional? We aren’t sure how to respond to that claim. C) On p. 15 of the November ‘Siesta Sand’, the article “Dredging” described land given to Sarasota by the State, and quoted the deed language as stating the County “shall never sell or convey or lease the above-described land or any part thereof…” Was the State in “conflict” with the Constitution? D) On 11/6/18, by approving the ‘Legacy Trail’ amendment, the voters “told” the County to issue $65 million in bonds and to use those bonds to complete the improvements to the trail. How is this any different than the voters “telling” the County to fix Beach Road? Further, “we the people”, through our charter, prohibit the County from making capital expenditures in excess of $23 million without prior voter approval. Clearly, the charter is the vehicle by which we “tell” the County what to do. Question 2.) Do you feel the County Commission is violating your Charter amendment 3.10 in its deal to lease and later sell the Benderson Park land to Mote Marine? 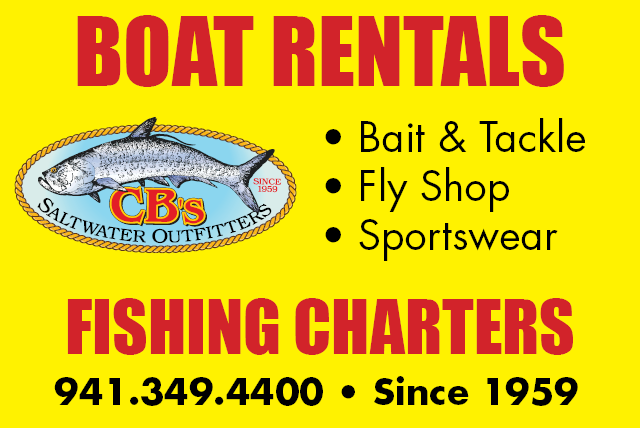 Mote Marine, Marina Jack, The Old Salty Dog, Van Wezel, Robarts Sports Arena, the Baltimore Orioles, Sharky’s Pier, and dozens of other entities lease and run their businesses, and have for decades, on County-owned land. We sent a man to the moon 50 years ago. To suggest, as the County has, that we can’t work this out within the parameters of this charter amendment is indicative of our need for better leadership. Question 3.) How do you respond to the argument the County, the Maddens and the Catfish have made that taxpayers will have to bear the burden of the expense of buying back the vacated North Beach Road property plus the cost of the improvements to the road? We understand Thai Tran in the county’s Transportation Department estimates the expense of the repairs at 7 million to 10 million. We agree. Overwhelmingly, so did the voters. The good news is the County is now legally obligated to rescind its vacating of Beach Road, so the cost of “buying back” the road is ZERO. It should be noted that the vacating of Beach Road was prohibited by ch. 3, section 1.1.13 of our Comprehensive Plan; its zero-expenditure “recovery” simply fixes that mistake. The cost analysis sheet of the taxpayer funded Taylor Engineering Report (2013, page 31) puts a cost of $2 million on the Beach Road repairs. Since that was a few years ago, and since government is involved, let’s double that and call it $4 million. Interestingly, that’s still $2 million cheaper than NOT fixing Beach Road. That’s right, Taylor Engineering states, on p. 21, “Neglecting amortization costs [which are huge], the County can expect to spend $5,835,525.” Further, they state, “Repetitive storm damage impacts resulting from the No Action alternative will likely reduce property values, eliminate the primary means of ingress/egress…, negatively affect public safety by limiting emergency rescue and fire vehicle access…” The entire Taylor Engineering Report, as well as numerous County documents upon which our opinions rely, can be found on our website, Reopenbeachroad.com. We took the deposition of Thai Tran, and strongly suggest he reread the Engineers Professional Code of Conduct. Question 4.) The County has very little wiggle room in its general fund. How do you think it should pay for buying back the road and making the repairs? As stated above, the County must now fulfill its legal obligation to rescind the vacation of Beach Road; the cost is therefore ZERO. Statements to the contrary are hokum. With respect to the repairs/improvements, RBR’s first suggestion is to stop wasting taxpayer’s money to pay the County Attorney to subvert the will of the voters that clearly want Beach Road to regain its intended use as a public thoroughfare, and to take advantage of the savings pointed out by Taylor Engineering. Next, apply again for the twice approved, never used FEMA Hazard Mitigation Program Funds that certain individuals have shut down to prevent past Beach Road repairs. Finally, just like for the Legacy Trail, issue bonds. This is the best and fastest route; the dollar amount doesn’t even require the voter approval we, coincidentally, just gave by passing RBR’s amendments. Published in NewsTagged charter amendments, Mike Cosentino, reopen beach rd.